Identification: white solid gelatin capsule; fine white odorless powder, soluble in water with white residue. Composition: Probiotic microorganisms — Bacillus amyloliquefaciens strain VKPM V-10642 (DSM 24614) and Bacillus amyloliquefaciens strain VKPM V-10643 (DSM 24615). Corn-steep extract, potato starch, powdered sugar as excipients. Biological active substance Vetom 2 is recommended as an additional source of probiotic microorganisms to heal a human organism. A health-improving effect is provided by the properties of bacteria Bacillus amyloliquefaciens. Reproducing in the intestine they produce proteolytic, amylolytic, cellulolytic enzymes and biological active substances inhibiting the growth and development of pathogenic and opportunistic microflora. Owing to this process the composition of intestinal microbial communities becomes in compliance with the evolutionary normal rate. The intestine walls are cleaned from some indigestible constituents of food, thus this process promotes active removal of toxins from a body and inflow of biological active substances and nutrients without hindrance. In taking Vetom 2 the processes of digestion, absorption and metabolism of iron, calcium, lipids, proteins, carbohydrates, triglycerides, amino acids, dipeptides, sugars, bile salts, and acidity in the gastrointestinal tract come to normal. Vetom 2 assists a human organism to preserve the health. Vetom 2 is used per os. Vetom 2 dosage frequency and duration directly depend on individual health status. The recommended dosage for healthy people is not less than 2-3 doses a week. In the case of diseases the dosage should be increased up to 7-10 doses a day. Take Vetom 2 on a regular basis. One dose is considered as one 5 g sachet or one teaspoon with powder, or one 0.33 g capsule. Vetom 2 does not cause habituation. Individual intolerance to the preparation ingredients. Vetom 2 increases efficacy of medicinal preparations and decreases their side effects. A combined oral administration of Vetom 2 and antibiotics or preparations containing probiotic microorganisms is not recommended. The combined use of Vetom 2 and antibiotics is permissible if different routes of their administration are used, for example, oral intake for Vetom and injection for antibiotic. Note. Vetom 1.1, Vetom 2, Vetom 3 and Vetom 4 have the same mechanisms of action. Different microorganisms are used as active agents, which are active in different bowel segments and produce a wide range of biological active substances. Therefore, their final effects on a human organism are different. To reach the maximum positive health effects and identify the best Vetom preparation for your needs it is recommended trying every preparation of the Vetom product line by turns. Don’t store above 30 ºС and at relative humidity exceeding 75%. Shelf life is 4 years after the date of manufacture. Do not use after the expiry date. It is available without a prescription. Vetom 2 is not a medicinal preparation. Recommended - Vetom 1.23 - liquid fraction does not contain sugar. In a bottle of 10 ml. This is abo.. 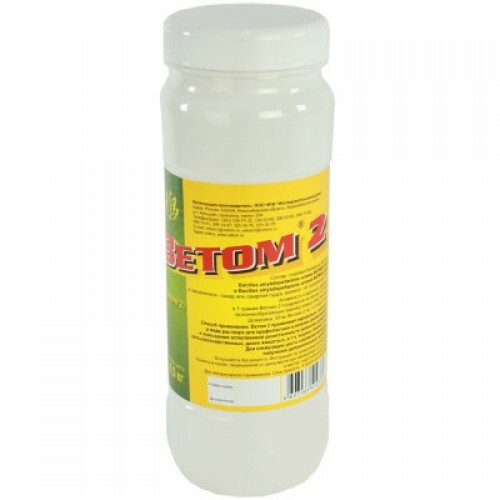 Biological Active Substance Vetom 3 Proprietary name and dosage form: Vetom 3.Dosage .. Biological Active SubstanceVetom 4 Proprietary name: Vetom 4.Dosage form: capsule, po.. Biological Active Substance Vetom 1.23 Proprietary name: Vetom 1.23.Dosage for..
Авторская книга "Книга о микрофлоре , пробиотиках и иммунитете "
Авторская книга "Книга о микрофлоре , пробиотиках и иммунитете " в виде электронной книги. В а..
Erostyle We have created capsules for male sexual activity.EFFICIENCY up to 12 hours.Comp..
Acidophilus supports a favorable environment for the absorption of nutrients, encourages intestinal ..